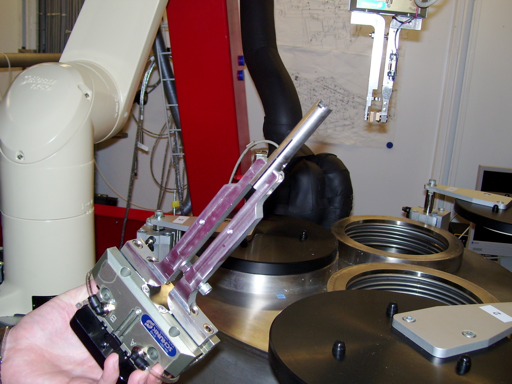 The Cryogenic Automated Transfer System (CATS)1 is the latest generation of sample transfer robot. 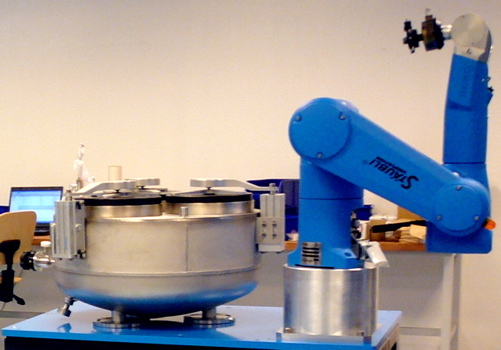 The CATS uses a Stäubli industrial robot with interchangeable grippers allowing the use of SPINE, ALS, or Rigaku pucks. Additionally, other tools such as cyrstallization plate holders and the like are feasible. LS-CAT uses four CATS robots from IRELEC, one for each experimental enclosure. Each of the robots is equipped for both SPINE and Cryotong (Rigaku/ACTOR style mounts) grippers to provide the greatest flexibility for our users.